Anti-austerity march against the conservative government in the City of London 2015. The start of the march in Bank, the financial district of London. 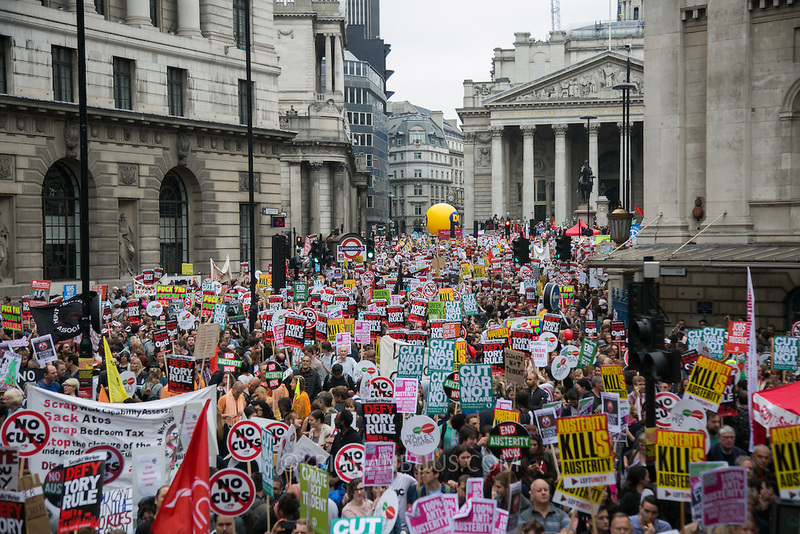 The anti-austerity march, the People's Assembly saw tens of thousands marching and protestin in the streets of London against the newly elected conservative government.